The economic impact of a typhoon can be worse than the storm. 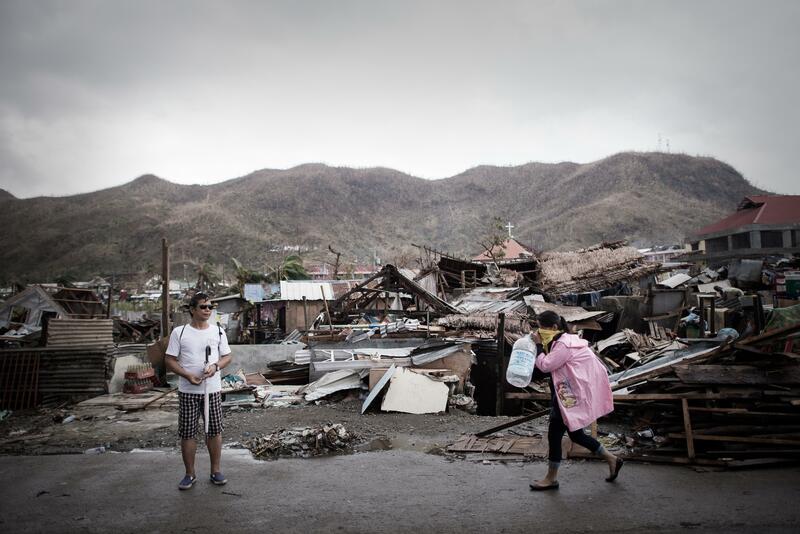 A woman carries an empty water bottle as she walks past debris left after the passage of Typhoon Haiyan in Tacloban, on the eastern island of Leyte, on Nov. 14, 2013. As noted on the blog earlier this week, the Philippines is particularly prone to natural disasters, though rarely any as severe as this week’s typhoon. This is one factor holding back the country’s economic growth, which then unfortunately makes its people more vulnerable to these disasters. One paper published earlier this year by Jesse Keith Anttila-Huges and Solomon Hsiang used the typhoons of the Philippines to measure the economic impact of natural disasters on households. The relative frequency of these storms makes them easier to study than other types of disasters. Combining storm data with data from government economic and health surveys, the effects they found were grim. In the areas studied, typhoons reduced household incomes by an average of 6.6 percent. Household expenditure decrease 7.1 percent for the average household in the average year. “In general, households reduce their spending the most on expenditures that most closely resemble human capital investments, such as medicine, education and high nutrient foods that include meat, dairy, eggs and fruit,” the authors write. They also argue that for infant mortality, the impact of the economic deprivations caused by the typhoon is far worse than exposure to the storm itself. All this is to say that the worst effects of Typhoon Haiyan have likely not yet been felt. And Jessica Alexander’s advice, that if you want to give a donation to help the country, you should consider waiting “a few weeks, after the cameras turn off but when long-term recovery for Filipinos is just beginning,” is well taken.